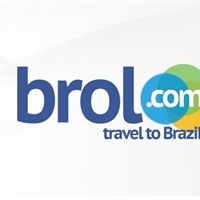 Brol.com was the first Online travel company specialized in Brazil. Our travel professionals are prepared and committed to providing our clients with the best possible courteous service on a timely manner at fair, honest prices. We work for our clients, not for a particular airline or hotel. That means you will never see us promoting a particular carrier, service, or banners and ads on our site, because our mission is to provide you, with the best options for your travel. Our company is licensed and bonded as required by the State of Florida, accredited by the ARC (Airline Reporting Corporation), member of ASTA (American Society of Travel Agents), and IATA (International Air Transport Association).